We thought Purina's mini infographic on cat diabetes was interesting. 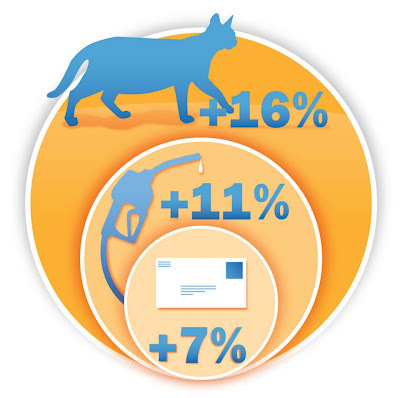 "In the last four years, diabetes rates have increased by nearly 16 percent among cats, while the national average for the price of gas has increased by only 11 percent and the price of stamps by only 7 percent." Not a good trend! It's our understanding that obesity and diet are the two biggest contributors to feline diabetes. We're grain-free over here. I know this is a sensitive topic for some, but I found it interesting that some studies show a low carbohydrate diet can significantly reduce - and sometimes even eliminate - insulin dependence in cats. This shouldn't be a surprise, since I'm told the same is true for many humans suffering from Type II Diabetes. We also practice portion control (no free feeding!). And we attempt to work in a daily play time with Da Bird or the Neko Flier (not always successful with that, based on our schedules). Whew. We sincerely hope that's one less thing we'll have to worry about as the fur-kids get older! Papa says Momma's running around like her hair's on fire or something. But don't worry. I'm on it. Please forgive us - we haven't been visiting as much lately as we'd like. Mom's production team had 8 business days to create 47 videos ("all hands on deck! ")...and she's just a bit wild-eyed right now. She'll be back next Friday and promises to help us catch up with you! In the meantime...we'd love it if you kept us company while she's gone! That is a very interesting graphic, and a wee bit scary too. OMD, that's not good at all... Dr. Schaffer is strict with Mom about our weights and measures! 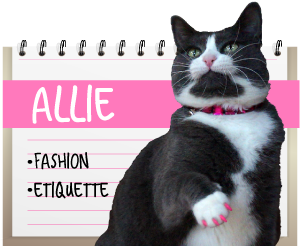 Wowee wow wow, that's a lot of videos... Allie, maybe you and Mom can do a mani/pedi together at the spa when she finishes up! Scary numbers that the diabetes have increased with ! that is interesting. mom doesn't free feed us anymore either.....she worries about Ivy's gut. :) we hate it when the mom's get all busy - but it keeps us in fuds so she says we aren't allowed to complain much. I had a kitty become diabetic while on dry food. Her insulin need dropped dramatically when we got her on a food with minimal plant based ingredients. I also helped four other diabetic kitties by changing their diet. We used to be on grain free kibbles only then Cosmo had 2 episodes of blockage. And she was told he had to be on Prescription Diet for life. She hated the ingredients on that so started researching and then decided to commit to home cooking for all of us. We still get grain free kibbles for breakfast, then home cook for dinner (no free feeding). And we LOVE it. :) Initially we used to get canned food but then Mommy found that some ingredients in there might cause cancer, even the grain free types. That's really scary. And I thought MY human was busy! Yours is out of control! Those diabetes figures are interesting - and scary! My human is a stickler about 1) all canned, grain-free food for Binga and Boodie, 2) high-protein canned and high quality crunchy treats for picker me, and 3) total portion control except for me because I am underweight. And we are all 10 and over and we are active, healthy kitties with few health issues. I think human attitudes play a lot into it too - how humans think and act really does affect our health, you know! Good thing you have Smokey standing by.....Mommies with hair on fire NOT a good thing! 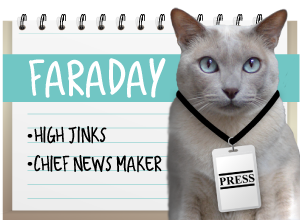 The info on kitty diabetes is worrisome; up 14% is up a LOT! We're all lucky that we have parents who are watching our diets for us - if they left it all up to us we'd all be in trouble! Diabetes seems to be on the rise in all species!! has to be to do with diet and lifestyle!? 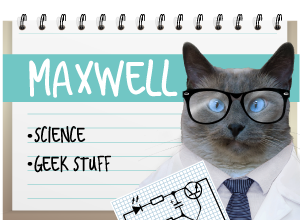 That picture of Maxwell made us MOL!!! Wow, that's scary that so many cats are developing diabetes. We are grain free too. But we need more exercise. Hey Mom! We need more exercise!!! Good luck to your mom...we hope her week goes okay. That graphic is so telling. Thank you for sharing that really important information with all of us. Please tell your Mom we understand, and that we hope her week goes well. Very interesting. Have a great Monday. Maxwell: thanks guys. I wasn't quite sure what I was supposed to do with the shovel if Momma's hair truly *was* on fire - bang the flames with it? 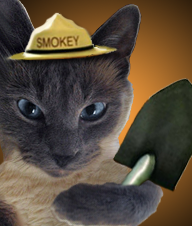 What would Smokey do?